In this adapted excerpt from an exclusive interview, Sanjay Shah talks about his life as a philanthropist and shares some tips to help others start and grow their organisations. What inspired you to create Autism Rocks? Sanjay Shah: My youngest son was two years old when he was diagnosed with autism. My family experienced firsthand the difficulty in finding information about the disorder and possible treatments as well as how underfunded support networks were at the time. Lower- and middle-income families with children on the autism spectrum are at a significant disadvantage because in Dubai, the insurance system does not reimburse them for treatments. Our experience with the system put me on a mission to raise funds for research as well as awareness. Music plays a huge part in Autism Rocks. How did you come up with the idea to combine autism awareness and live music? 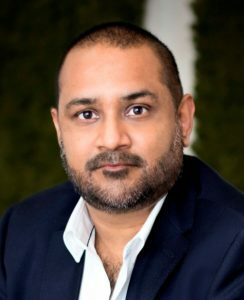 Sanjay Shah: It was a logical marriage between my love for live music and my desire to raise awareness for autism, but it was at a meeting with Snoop Dogg in 2013 when the idea came to fruition. I was fortunate enough to persuade Prince to perform at an invitation-only show in London in 2014 to raise money for research and Autism Rocks was born. Since then, many musical celebrities have performed at Autism Rocks events, including CHIC, Michael Bublé, Lenny Kravitz, Drake, Mark Ronson, Ricky Martin, Justin Bieber and Nile Rodgers. With the help of some of the most famous names in music, we’ve raised a lot of money for autism research and awareness in a short period of time. Sanjay Shah: I have an active family life and a busy work life so planning is key. I don’t mix work and family time together. Each has its own place and I give my all to both. A typical school day begins with making sure the children get to school on time. I go the office to catch up on emails and meetings. Afternoons are spent with one-on-one time with the children. Because most of my business interests are in Europe and I live in Dubai, I am able to use the time difference to my advantage. I can spend lots of time with the children during the day and devote time in the evening to managing my business. What’s your strategy for turning ideas into reality? Sanjay Shah: I wouldn’t say there’s one strategy, but a host of different strategies. My first task is to figure out if an idea is feasible. Will it work? Does it make sense? What does my research indicate? After I make the decision to move forward, I put a talented and coordinated team together. Team members may be people with whom I’ve worked in the past or highly recommended talent from trusted sources. The wonderful part about pulling together a skilled and knowledgeable team is that I can leave the details to them. I trust them to make the right decisions and empower them to act. That leaves me the time to concentrate on the big picture. Sanjay Shah: When I was a young entrepreneur, I invested in businesses that, in reality, didn’t have a chance. I handed control over to people I didn’t know. I lost money. From those losses, I learned to analyse every single so-called opportunity from the inside out. I learned that I had to stay in control. I’ve also learned over the years to hire people who know more than I do. As I said before, I am the big picture guy, but I’m not an attorney or accountant. I hire experts to do what they do best. That leaves me time to focus on what I do best. Budding entrepreneurs should read ‘The 7 Habits of Highly Effective People’ by Stephen Covey. In fact, I recommend all entrepreneurs not only read the book but refer to it often. Written in 1989, it is, with good reason, considered one of the most influential business management books of all time. Based on the concept that the success of others is a reason to celebrate and when one of us wins we all win, it not only conveys a great business philosophy, but a great life philosophy as well. Here’s a look at effective — and not so effective — alternative treatments for ASD. When administered by trained therapists in controlled sessions, music therapy has been shown to reduce the incidence of disruptive behaviours commonly associated with autism, mitigate inattentiveness, calm anxiety, improve communication, and strengthen relationships between autism-affected and non-autism-affected individuals. Plus, it’s really fun. Receiving an autism diagnosis is like having the rug pulled out from under your family. In an instant, it changes everything. Determining what to do next is a momentous task. Rather than review everything that needs to be done to ensure that your child receives proper treatment, we’ll focus here on one specific consideration that you’ll eventually need to face: medications to treat autism. For many children and adults with autism spectrum disorder, but certainly not all, medications play an important role in treatment and modulation. Before beginning a medication regimen, approach your autism specialist or GP with a list of prepared questions about what it’s likely to entail. Though this nine-question set is by no means comprehensive, it’s a good indication of the sorts of queries you should ask during your limited time in the examination room.